Ever since my third grade librarian helped me to form my first publication, I considered myself a writer. At the wild and brazen age of 9, I didn’t understand how ridiculous it was to consider yourself a writer at such an early age. I mean, there are retirees that have been writing for years that still consider themselves wannabe or aspiring writers. 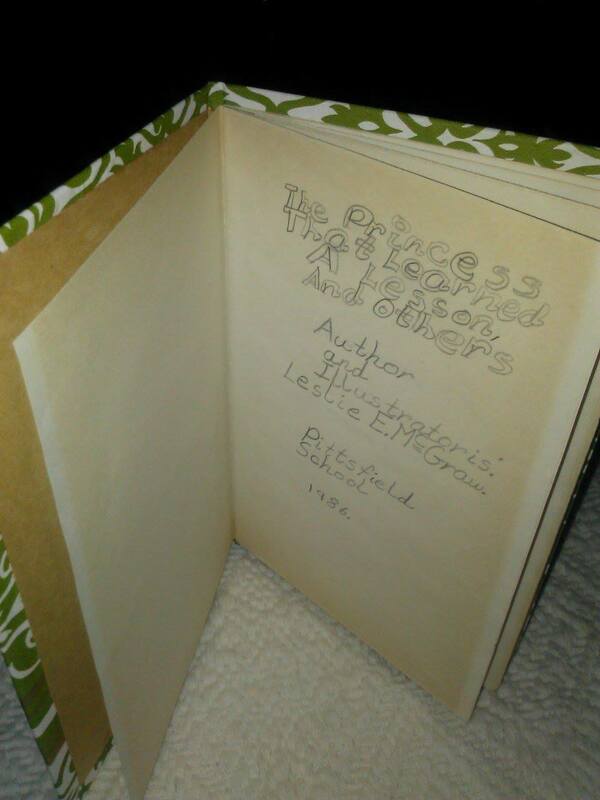 My little book, The Princess That Learned a Lesson, self-published and hand-written in third grade. Over the past 17 years, I have tried my hand at journalism, health stories, genealogy, how-to articles, blogging, newsletters, poetry, biography, science fiction, short stories, brand story, web copy, technical writing, and even a screen play. Coming to grips with the fact that each one of these genres require a specific expertise that I am not just automatically good at, has been a humbling experience. My writer glow was squashed early on as an adult when I learned the hard way that each style of writing had to be practiced and studied A LOT and some people just won’t get your writing. Like ever. Last year, I decided to hand myself over to the professionals. First, I did a four-month internship with the local newspaper to learn what I’d miss while being away from the craft for 11 years. A year later, I am still working on remembering rules for numerals and how many quotes you can get away with before it reads like an act from a screen play. For those of you who may not know journalism speak, this is one of the highest compliments your editor can offer. Seeing how my work as a reporter improved with a little practice and dedication, I have since taken classes in newsletter design, blogging, content marketing and reunited with my writing critique group. I have been chopped and diced 8 ways from Sunday as I find my niche, my style in each of these different art forms. A glutton for punishment, however, I decided to pull together my poetry from the last 12 years into a manuscript only to find that I have more work to do than I originally anticipated. After I scraped my pride up from off of my living room carpet, I decided that I had already ran my mouth to too many people in life and social media to quit the project. That was two weeks ago. Since then, I have spoken with a creative writing instructor, received a couple reader reviews, shared some with my writing critique group, and attended a poetry workshop that helped me to figure out a way I could strengthen a few poems. Next week, I begin working with a professional editor. Just like that. With the exclamation point and everything. How does that make me feel?